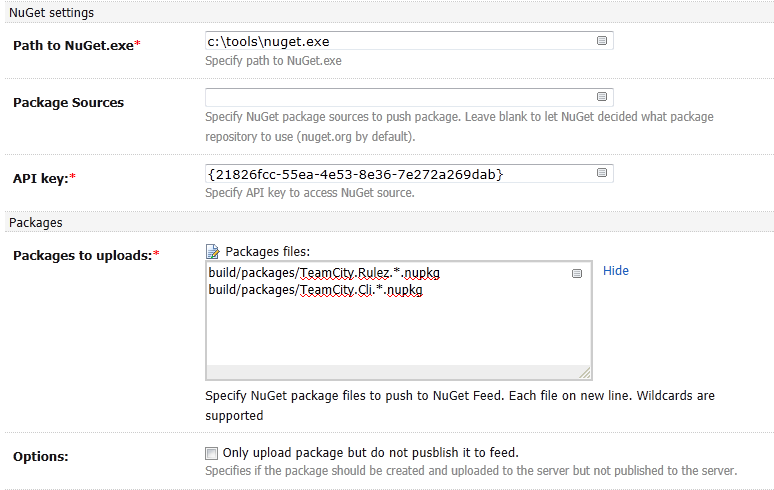 TeamCity plugin for NuGet support v0.4 is out. 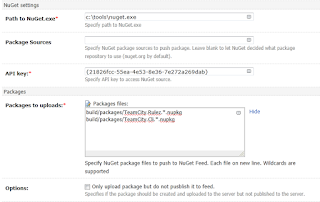 In this version I included a new build runner called "NuGet Packages Publish". This build runner helps you to publish (push) NuGet packages to a given feed (custom or default). Publishing of packages is done with help of nuget.exe push command.